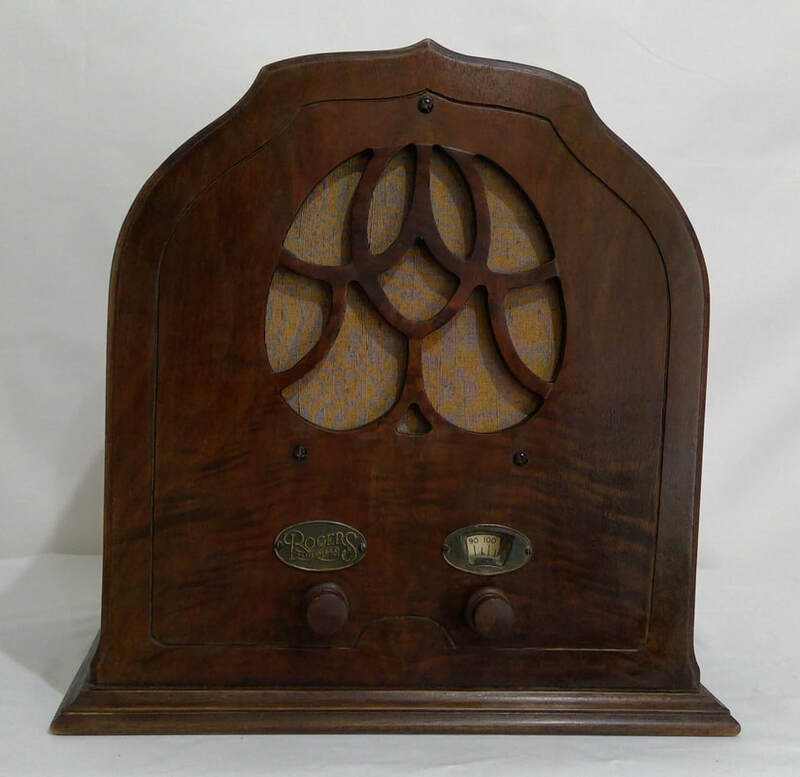 1933, model 646, radio is manufactured by Rogers Majestic Corporation Ltd, Toronto, Canada. 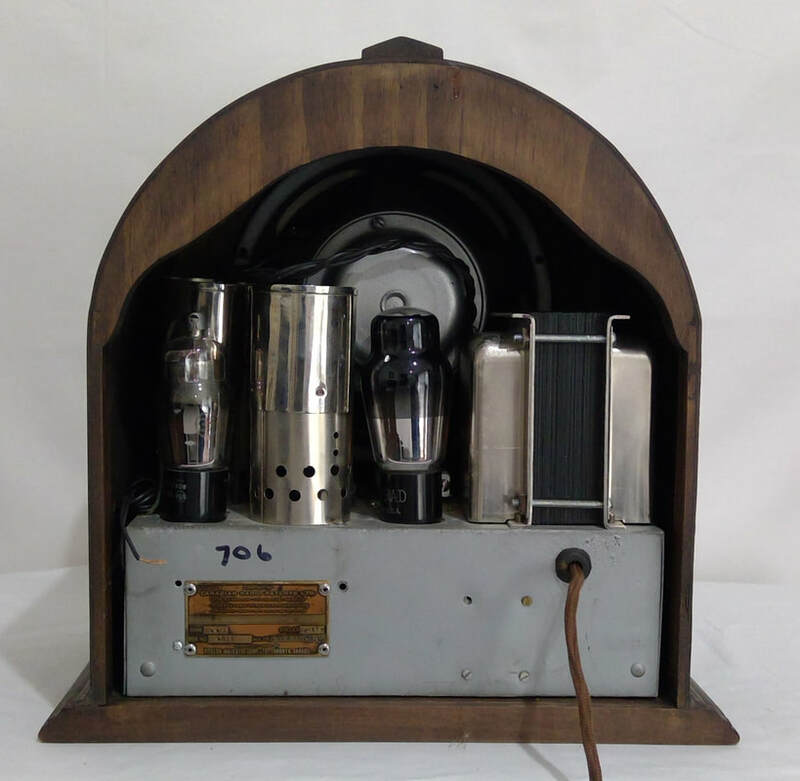 It is a super-heterodyne and AC main (230 volts) with a 6 valve line up. The style is a cathedral mantle, wooden case construction. Dimensions (HWD) 500mm x 430mm x 260mm. 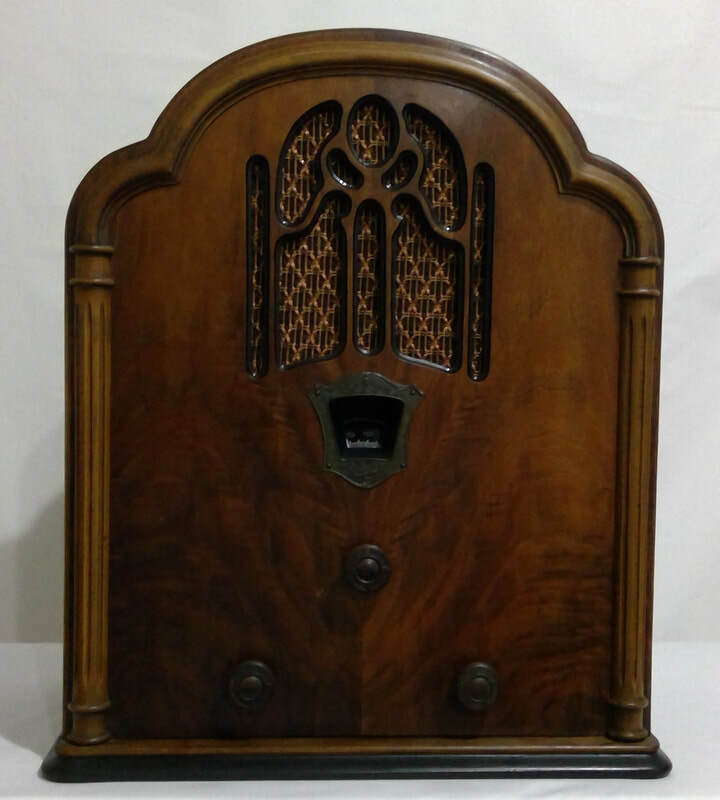 ​1931/32, model R-551, radio manufactured by Rogers Majestic Corporation Ltd, Toronto, Canada. 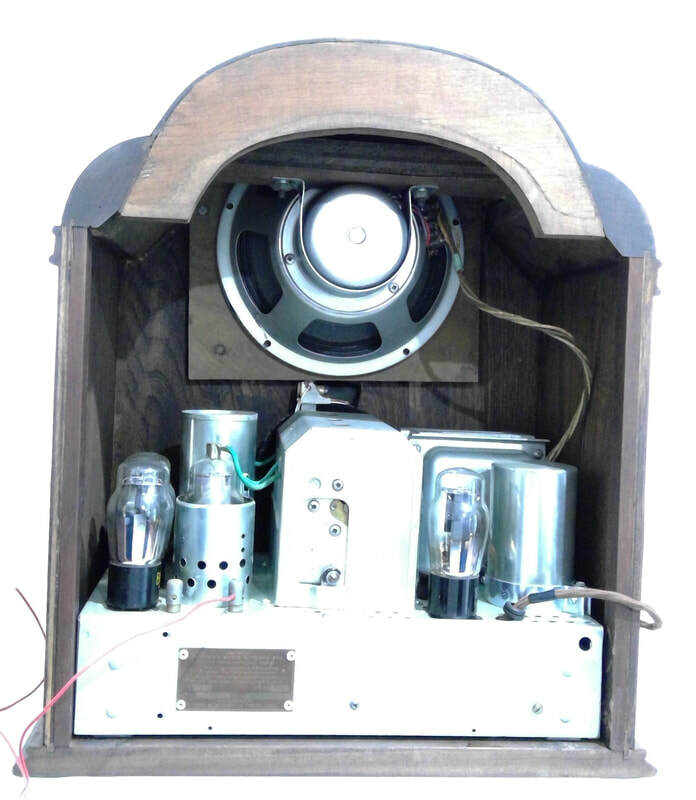 It is a super-heterodyne with AC mains (230 volts). It has a 5 valve line up. The style is a cathedral mantle, wooden case construction. Dimensions (HWD) 380mm x 370mm x 230mm.